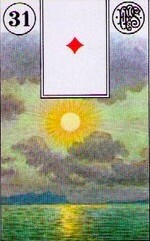 General Description: The Lenormand Book can be connected to quite mundane things such as books, diaries, and ledgers. It’s the card of the student – showing what is to be learned regardless of age. It can also point to secrets and information that is about to be discovered.